I wanted to gain some school experience because I am considering a career in teaching. I figured that the easiest way to get in touch with schools, is to go through the university placements team as they do it all the time for students. I explained that this placement would count as my "Professional Practice" experience, so that I could do it as part of my course. The experience is also needed for the entry requirements for a PGCE, and so it was a great idea to gain experience and benefit from it in both ways. The experience also counted towards my Bath Spa Award. I wanted to do the placement for numerous reasons. My main being that I needed the experience to see if I wanted to enter that career. This then opened up numerous other reasons within that reason alone. Doing a Fine Art degree, I wanted to make sure that as a teacher I could still use my degree, my creativity and artistic practice. Ideally I would love to be able to teach art to others, and from my experience at the Hospice, I know that I want to use art to help people express themselves. Unfortunately, with a lot of research and talking to teachers, there isn't a high demand for art teachers, in fact the demand is very small, and so the chance of me becoming one would be tiny. It also means that I would probably have to teach in a high school, which gives me great anxiety. Therefore, I decided to see about a placement in a primary school, because after-all art is a curriculum subject and a lot of young children learn best by using their hands and being active. And although I would have to teach other subjects, it doesn't mean I can't be creative surely? Therefore I did this placement to see if the statement I just made was true. Can I use my creativeness and artistic practice as a primary school teacher, and most importantly, will I enjoy it. 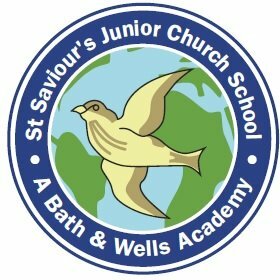 The Universities placement team arranged a placement at a Primary School in Bath for me and contacted the school for me to arrange this. I had to arrange a DBS check before this, and then finally email the teacher who's class I would be in, to introduce myself and arrange availability. I also took this as an opportunity to let the teacher know about my epilepsy and how this can impact my placement. To which the teacher was very understanding, and was glad I told her in advance. Overall I spent less than a week on placement. As I'd been on a school placement before, I felt more confident than usual. I was placed in a year six class, which is a year I haven't been with before, and with the time of the year that I joined, it was SATS time, and so I also invigilated. I found it quite strange working with a year six class, as previous to this I'd worked with a year three class, and there's quite a difference. The children in the year six class didn't seem to need the teachers help as much, they were a lot more independent, however still liked mine and the teachers input. I usually like the children needing me a lot, but it was a nice change to not have to be needed constantly and yet still have interaction with the children. Helping with the art classes was brilliant, it was great seeing the different levels of artistic talent and the majority of the class all seemed to really enjoy the art lessons. This was great to see as it showed me that kids do love doing art and that I could still use my talents to help teach. I will say that I found that the older children didn't talk to me as much as the younger ones, and I like creating a bond, however I still really enjoyed helping them, especially around SATS time as I imagine they were pretty stressed! Over the experience me and the year six teacher spoke often, I found it very easy to speak to her, and I asked about the new curriculum and marking, and what its like being a teacher, and she did say it’s completely changed this year, but it didn’t put me off. What I found really interesting was that my teacher said that she had quite a difficult class and yet for the most part, I thought that the class were well behaved, however when I think about it, this is because I'm comparing to my schools in my home town, which are known for bad behaviour as they are in a deprived area, and so it really made me think about the difference an area can have on a child's education, which brought me back to Teach Firsts values about education inequality. If I do decide to do a PGCE I feel really strongly about this issue, and I can say I have experienced the difference. I look forward to more experience within a school within my home town, to fully compare this. I found it quite easy to motivate the children in Bath, and to be honest a lot of them already seemed motivated enough, it was really surprising, and I will be even more surprised if this is the same, in a school in my home town.